Last edited by IceLancer; 20-12-18 at 13:28. Hi IceLancer! Sadly without the ability to edit the shaders themselves, this isn't something I can achieve. 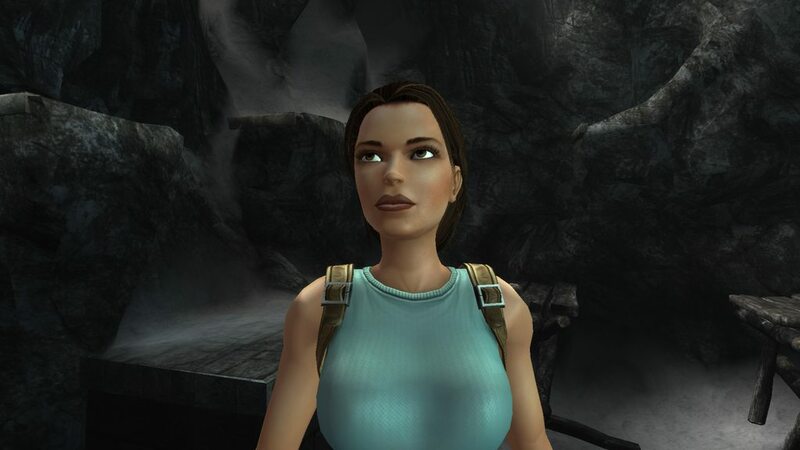 The PC version of Lara only uses Diffuse and Normal textures, which are used for colour and bumps respectively. I think there are a few exceptions like the belt buckle, but as far as I can tell these are all binary (either 0 or 1 for specularity). 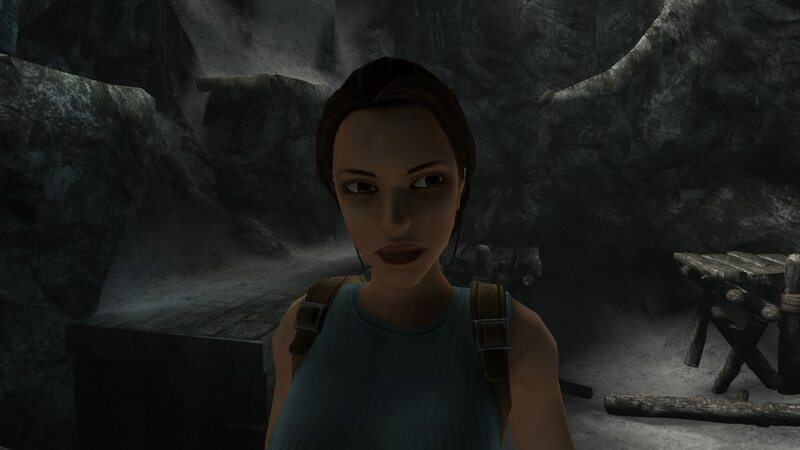 The PS3 version must have added proper specular textures like Tomb Raider: Legend has. I wish there was a way to bring these materials across! Version 1.00 is out, porting the entirety of Croft Manor across to the new installation method! The mod is now back to the same state it was previously when it used Texmod, but of course the new setup is much better. 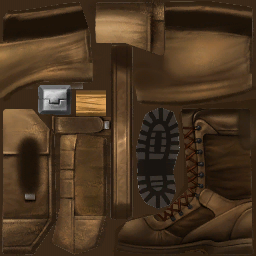 Next I'd like to have another look at many of the Croft Manor textures and maybe Lara's herself, as I've learned a lot since starting this project and may be able to improve them. Then her weapons could do with new textures, after which I'll probably start on the first level or her alternate outfits. Nice! Does this work with both the original and the steam version of TRA? Would it be possible to include a version with the TRL textures for the manor wall and floor bricks? I don't know why they changed them to a differently styled rougher stone, the Anniversary textures don't fit the rest of the masonry leftover from Legend. 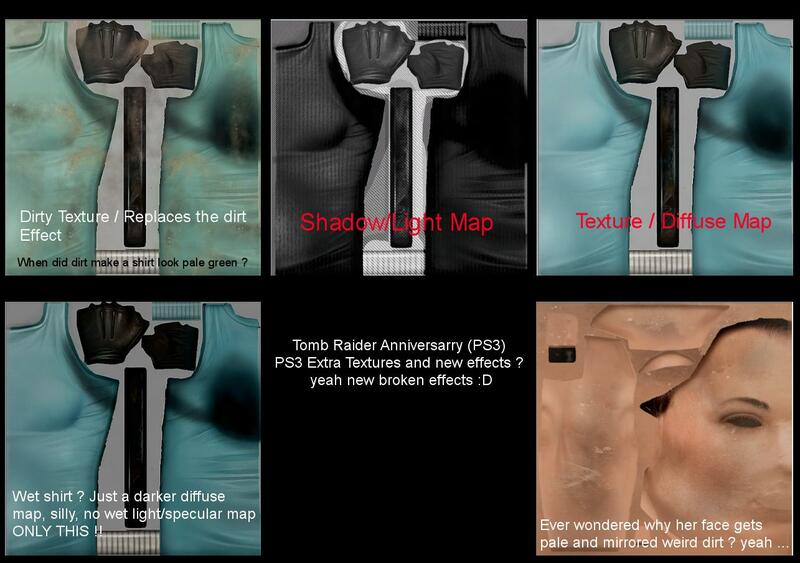 PS3 version of TRA and specular maps? -- PC version of TRA and bump maps ? You are wrong on that, the water in the PS3 Version is much more realistic and modern than the fake water imitation on the PC/PS2 Versions. The PS3 Version Water looks out of place because it doesn't match with the graphic style of the whole areas (in other means, lacking bump maps). So, which statement is correct? Last edited by XNAaraL; 11-02-19 at 04:40. I've only tested it on PC, I'm sure it'll work on Steam too though! The installation instructions make it easy to restore the original game in a couple of seconds, should it not work, so it's safe to test. It should be possible to do this with Texmod on top of my mod, yes. The floor/wall textures in my overhaul actually come from TRL but are edited to match TRA. It's a while since I did those textures but I think the main difference is darker seams between the floor tiles. Last edited by JimbobJeffers; 11-02-19 at 13:04. Also TRA PC does actually have a small number of textures that could be used as specular, but they're mostly binary (black or white only) and used very sparingly. To be honest, now everything went to more and more questionable. - In the "TRA-PS3 Diffuse" example, I see only the diffuse (color) RGB part. No dirt or wet information. 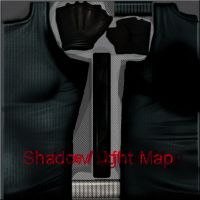 - The "TRA-PS3 Light (AO)" example looks like a Specular map. 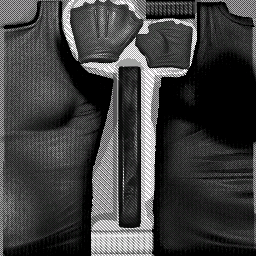 That's not what the TRA shirt in-game looks like. That gives a more correct result. 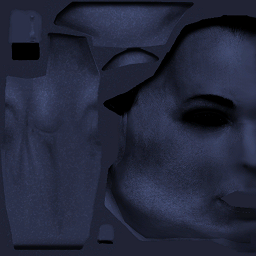 - The "TRA-PS3 Specular (SSS)" example looks like a Specular map. It is of course not a SSS (SubSurface Scatter map). 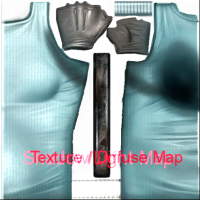 + The "TRA-PC Specular example 1" looks of course like a Specular map.